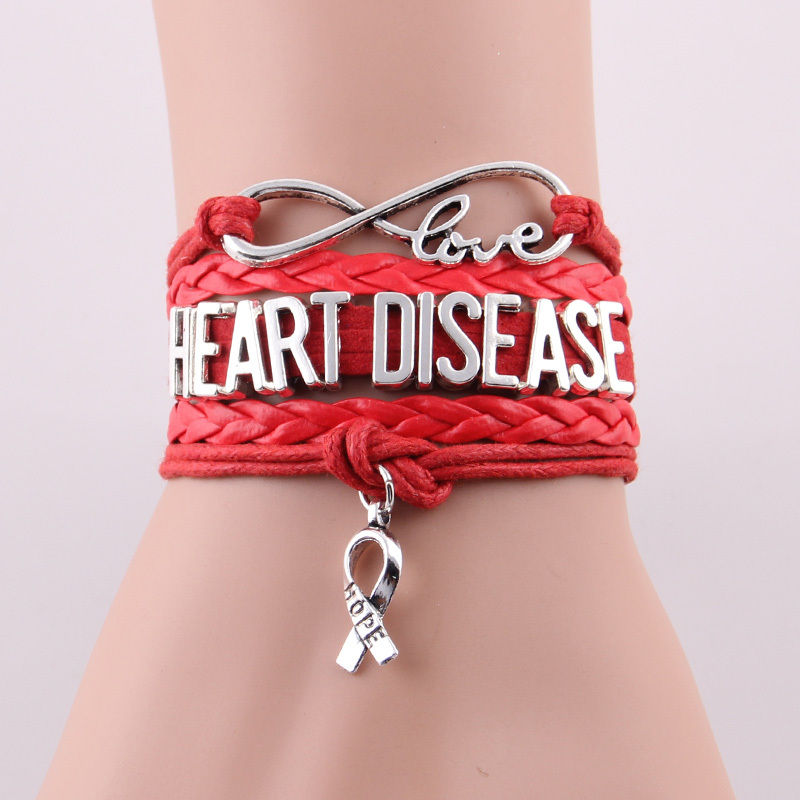 Give love and raise awareness for those suffering with heart disease with this Heart Disease Ribbon Charm Bracelets. This multi layered combined handmade leather bracelet in red color is beautiful and charming. Infinity, hope and love will surely help those who are suffering from heart disease. This bracelet is a great way to show your support and love. The leather material, is environmental friendly, gentle to the skin, giving a comfortable wearing experience. Makes a great gift for yourself or someone you care about to show support for american heart disease awareness.